1/3 Super HAD CCD. 420 TV Lines. 3.6mm Board Lens. 0.25 Lux @ F2.0. 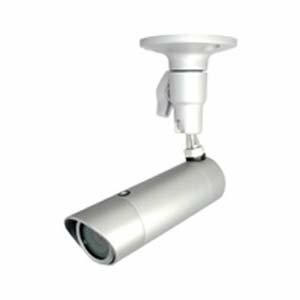 IP67 Rating IV Can be used for indoor/outdoor. 12V DC. Max. 100mA. 540 TVL D/N Bullet Color Camera. 1/3 inches Super HAD CCD. 540 TV Lines. HQ-1. 3.6mm Board Lens. 0.5 Lux @ F2.0. For Indoor/Outdoor IP66 Rating 12V DC. 420TVL Mini Bullet D/N Camera. 1/3 inches Super HAD CCD. 420 TV Lines 3.6mm Lens 12V DC. 1 Year Warranty. Bullet Cameras are increasingly being used to look over secured premises. You can now order bullet cameras at SF Cable as well. You can get them delivered at your door steps. We have mini day and night bullet cameras, 630TVL super low lux DNR Cameras, 540DVL day and night bullet color cameras, 420DVL mini bullet color cameras, and many more products on offer. We work with ISO 9001 - 2000 registered manufacturers to provide highest quality, that too at very competitive prices. We ensure customer satisfaction by providing good after sales service and also offer lifetime technical support on all our products.